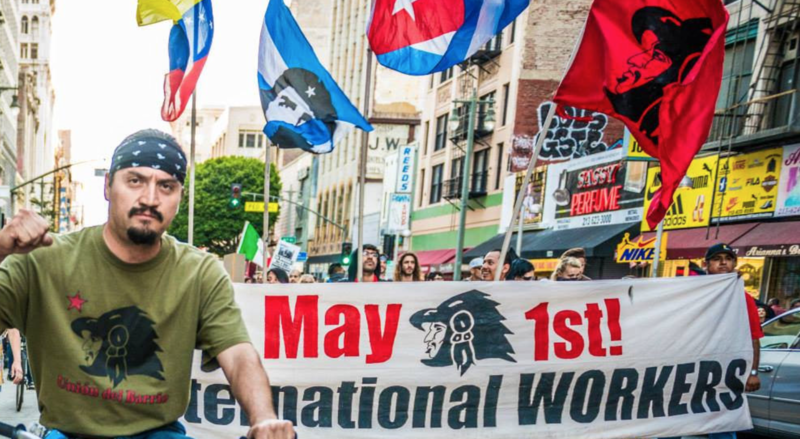 On Friday May 1, 2015, International Workers Day, the Mexican and Latin American communities of Los Angeles and San Diego organized and mobilized for a march through the centers of these two cities. The marchas disrupted some of the most luxurious and bourgeois areas of their respective locations. Activities began in San Diego in Pantoja Park, and in Los Angeles at McArthur Park. Speakers elaborated on worker’s struggles, such as increasing the minimum wage to $15 an hour and the right to unionize. The struggle to end police & migra violence was also heard in response to the wave of attacks against the Mexican and African American communities. The central demands on May 1st were framed by the struggle for human rights – an end to the bourgeois state repression against the workers. In the U.S. there is an offensive against in general, but especially against migrant workers. U.S. immigration policy criminalizes migrant workers and pursues a policy of police harassment, imprisonment and deportation. Deportations surpass 2.4 million people under the leadership of President Obama. Thousands marched in both cities, all aware of this class struggle, and went out to defend their rights as workers. There were rallies as the federal building in San Diego and the LAPD in Los Angeles, denouncing state violence against the community. 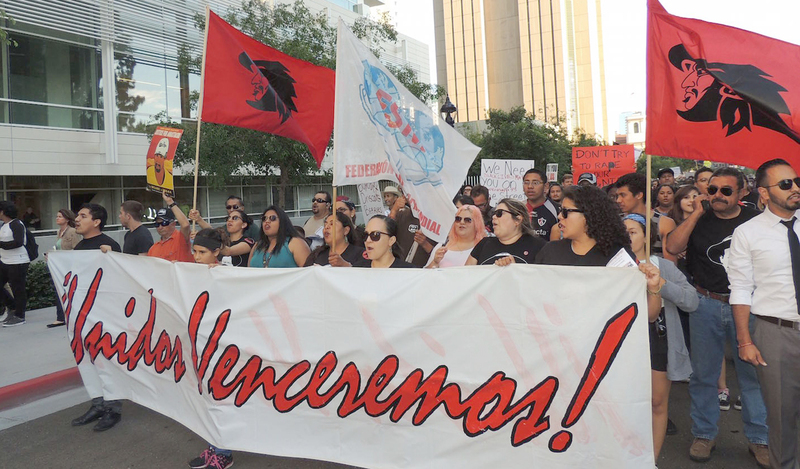 The events also raised solidarity for the 43 normalistas missing in Mexico, and the struggle of the workers of San Quintín, Baja California. These marchas were also highly internationalist, expressing solidarity with the Cuban Revolution and the Bolivarian Revolution of Venezuela, demanding an end to the U.S. economic, financial and commercial blockade against Cuba, and repealing Obama’s decree against Venezuela. In both marches Latin American and Caribbean flags waved through the streets of these cities, evidence of the internationalist, class and anti-imperialist character of the events. Los Ángeles, CA. May Day, 2015. San Diego, CA. Primero de Mayo, 2015. This entry was posted in 2015, 2015 Events, Labor News & Events, Local Community News & Events, Los Angeles News & Events, México, Nuestra América, Police & Migra, San Diego News & Events, Solidarity. Bookmark the permalink.